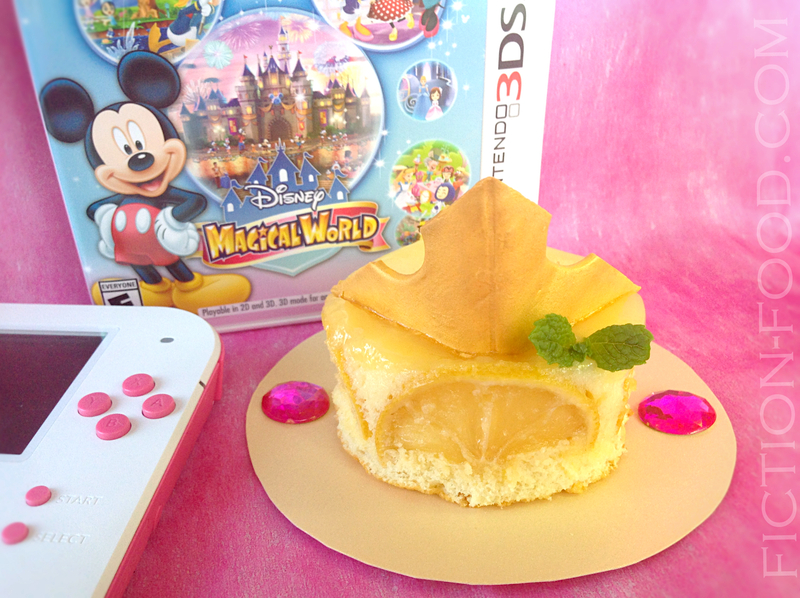 I was pleasantly surprised with how much I love Nintendo's "Disney Magical World" 3DS game. It's a ton of fun and has way more content than what I expected (well, especially because I got the "Pirates of the Caribbean" DLC). There is also a boatload of delicious looking food that you can make and serve at your very own cafe! Your cafe is located in Castleton, the game's main setting, and in order to make the various foods, you need to obtain recipes and necessary ingredients (though there are a few starter foods that you already have recipes for). 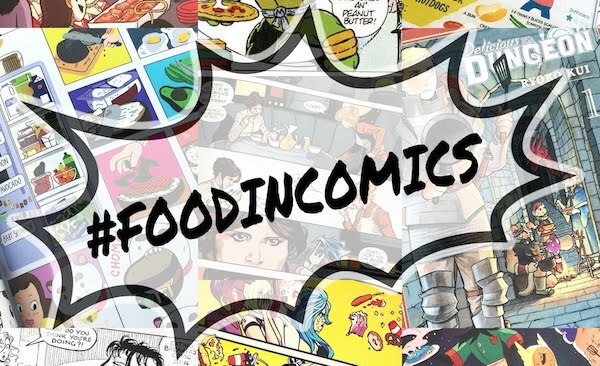 The foods are based around specific Disney characters and movies, or themes like western or space or tropical (which all relate to a character or two or three). You're also able to throw parties at your cafe with food, decor, and clothing matching a particular theme, and a character (or more!) will show up and you can take pictures together! I've been sitting on food ideas for this game since the summer, and now I've finally posted one for the new year! 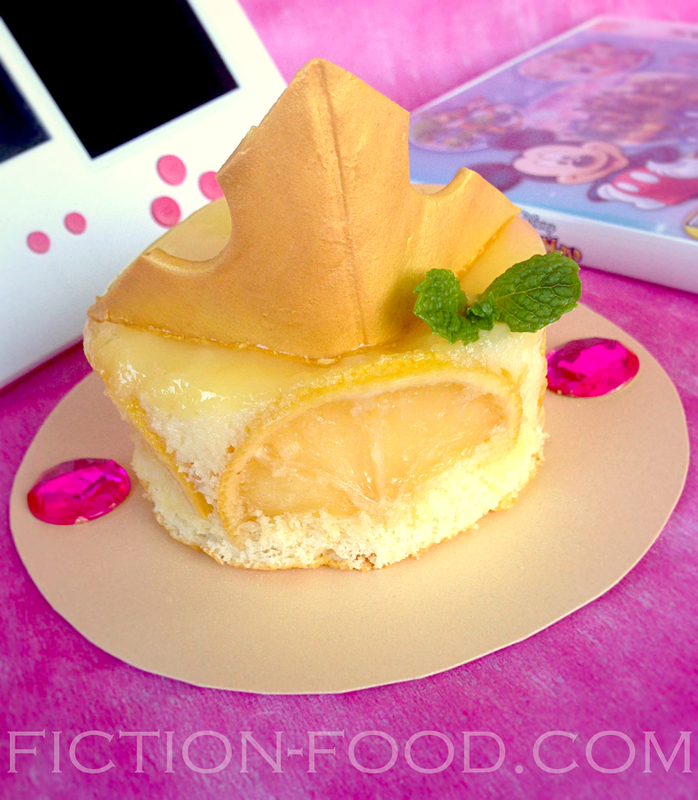 I chose to make lemon cakes from the "Sleeping Beauty" themed recipes because I love lemons and lemon flavoring, and this little cake looked so pretty in the game. 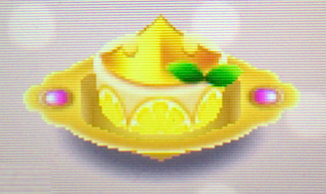 I'll also be doing at least a couple more foods from this game in the future so stay tuned! 2. Tiaras: On a sheet of parchment paper, roll the yellow fondant to about 1/16" & then cut 2 obtuse triangles from the fondant & paper together (it's easiest to use kitchen scissors for this). Use the small circle cutter to cut half circles from the obtuse angle sides (see photos above) & then drape the fondant triangles over a box edge or rolling pin, depending on what shape you'd like it (I chose the box edge because Sleeping Beauty's crown has the crease down the middle, but next time I'll go the rolling pin route because I think that'll look better on the cake). Let dry for at least a day so they can harden & then place on a work surface covered with parchment or newspaper or a large plate & spray generously with the edible gold spray. Let sit to dry until ready to put on top of the melon cakes. 3. 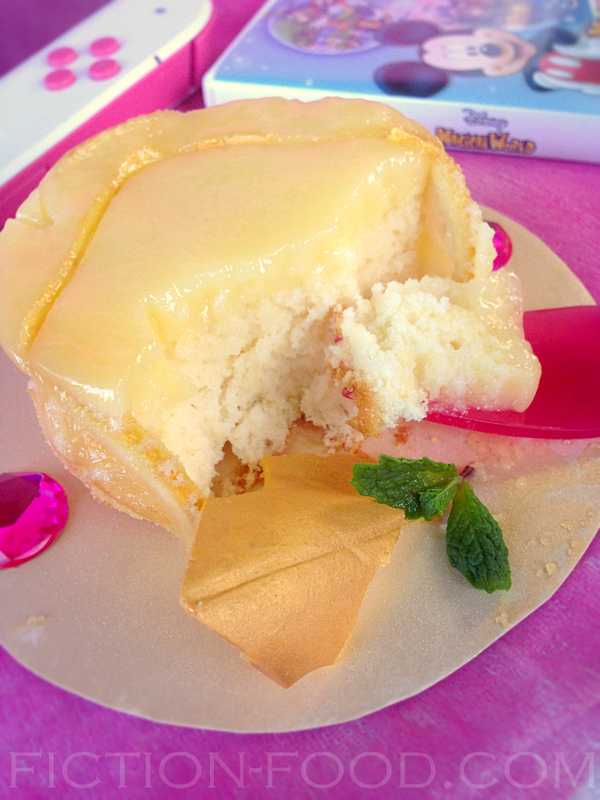 Lemon Cakes: Preheat your oven to 325ºF. Remove the prettiest lemon slices & blot them a little bit with a paper towel so they're not too juicy, & then slice them in half. Butter & sugar 2 6" ramekins & then place the lemon halves, upside down (round down), around the sides, just as many fit by touching they're ends together. In a medium bowl, beat the yolk, sugar, buttermilk, lemon juice, & zest. Add the flour & mix again. In another bowl, beat the white with the pinch of salt until stiff peaks form (this happens quickly when on high speed, moving the beaters around!). Fold the white into the yolk mixture until combined but there is still air from the white. Divide the mixture evenly between the ramekins. 4. Place the ramekins in a baking dish & fill with enough very hot water to go halfway up the ramekins' sides. Bake for about 45-50 minutes or until the tops are golden & springy. Gently tip the cakes out of the ramekins & onto their serving plates. 5. 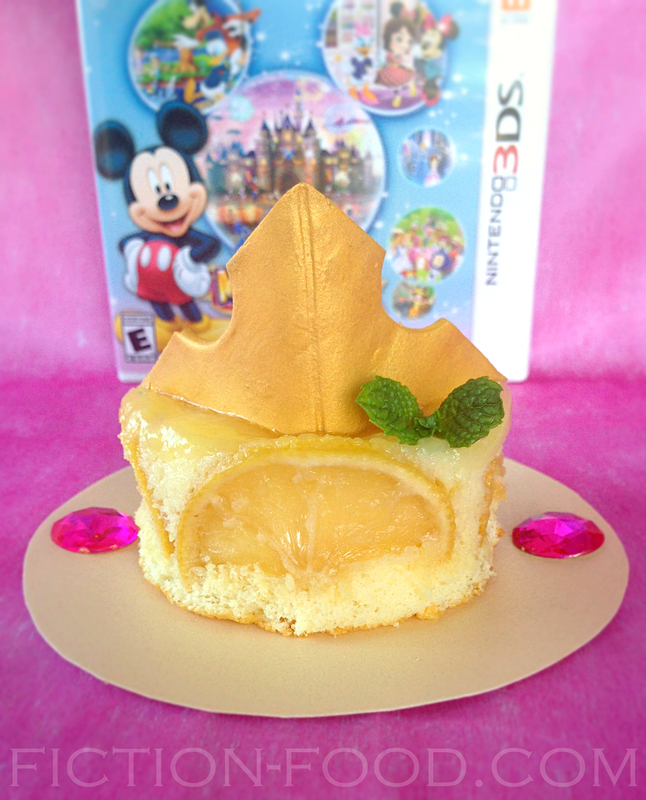 Decorating: Place the gold sprayed tiaras gently on the tops of the cakes. Break off two little attached mint leaves for each cake & place them near the right side of the tiaras, pressing the stems in gently to hold it in place. Serve immediately. The cakes will be alright hours later or the next day, but you don't want to decorate them until you're ready to serve.